This year, side effects the Oscars made history. Daniel Day-Lewis won his third best actor trophy– the first time in history when an actor has won the award thrice— while Argo walked away with best picture, medical after not getting a nomination for best director. 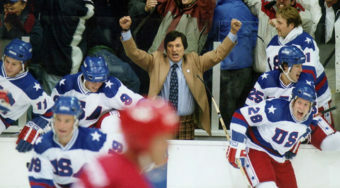 Argo’s win is a grand triumph considering that the best picture victor usually must have a directorial nod to its name. Ben Affleck didn’t get nominated for best director but for the first time since Driving Miss Daisy won its best picture award in 1990, malady the directorial nod proved unnecessary. Overall, it was a great night with some amazing high points and a few low ones. 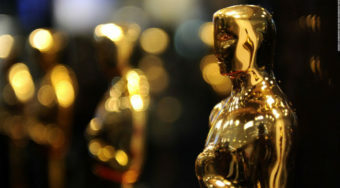 Here’s a look at the best and the worst elements of this year’s Oscars. 5.) The Cut-Off Music: Usually, the cut-off music used to inform the winners that they are running out of time to speak is bland and forgettable. Tonight, for some of the awards, the cut-off music was the Jaws theme song. It was a fun and unique addition to the show and made the process of cutting off the winners a little bit less annoying than usual. Next time, let’s hope that they mix it up and include a variety of other quirky songs to let winners know that their time is running out. 4.) Musical Moments: Aside from the unnecessary music in the monologue, the singing elements of the show were surprisingly strong. Shirley Bassie’s arrival performance of the classic Bond theme “Goldfinger” was easily one of the night’s highlights. Approximately five decades after the song’s release, Bassie proved that she still had the chops to belt it out. Add to that Catherine Zeta-Jones’ Chicago performance and Adele singing “Skyfall” and you had some of the night’s best moments. 3.) Jennifer Lawrence’s Victory: Jennifer Lawrence can be awkward at times but it’s hard not to love the Best Actress winner. She is funny, light-hearted and always willing to laugh at herself. When she fell on her way to the stage, it just showed how much of a regular person she is. She was great in Silver Linings Playbook and it was hard not to get excited when she seemed so humbled by her win. 2.) Daniel Day-Lewis Wins: We knew Daniel Day-Lewis could act. But the three-time Oscar winner showed tonight how down-to-Earth he can be when he made jokes about his victory. After Meryl Streep handed him the award, he noted that he had originally planned to play Margaret Thatcher in The Iron Lady while Streep (who won her third Oscar for that role) was originally set to star as Lincoln. He had one of the funniest lines of the night and that’s saying a lot considering how serious of a dramatic actor he is known as being. Is there anything he can’t do? 1.) 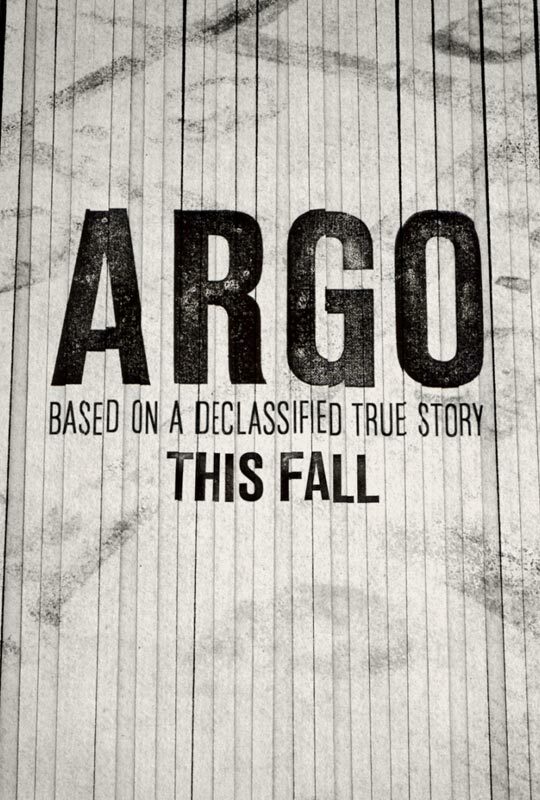 Argo wins best picture: It was a redemption story all the way. After winning his first Oscar fifteen years ago, Ben Affleck’s career has had its peaks and valleys. Many thought that he was done in Hollywood after he made a series of box office flops. Instead of giving up, he took to directing and was responsible for the movie that the Oscars named the best picture of 2012. “It doesn’t matter that you get knocked down in life. All that matters is that you gotta get up,” he said in his speech and based off his experiences, he surely meant it. 5.) Helen Hunt loses the best supporting actress Oscar: It was always unlikely that Hunt was going to beat Anne Hathaway’s performance in Les Miserables. 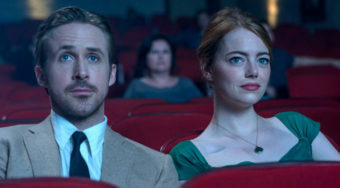 But although Hathaway had an important– albeit small– role in her film, her performance didn’t stand out as much as Hunt’s. Hunt, who appeared naked through much of The Sessions, showed an openness and a vulnerability seldom seen onscreen in her work. Hathaway had the showier role but Hunt had the better one and deserved to walk home with the gold. 4.) Zero Dark Thirty gets snubbed in the big categories: Zero Dark Thirty was one of the year’s best movies– far better than many of the movies that won Oscars at the show. But partly because the film has become so controversial, it was denied many important nominations, including a directorial nod for Kathryn Bigelow’s brilliant direction. The film only won one award for the evening– best sound editing– when it should have gone home with several more. 3.) Seth MacFarlene’s Opening Monologue: Seth McFarlane was responsible for Ted, one of 2012’s best comedies. However, he couldn’t bring that mix of crude comedy and belly laughs to the Oscar stage. He tried his hardest but the writers didn’t give him the opportunity to be himself. He improved throughout the night with solid one-liners but the inane monologue wasted the comedian’s talents and the audience’s time. 2.) No Bonds Onstage Together: There were rumors several months ago that all the men who had played James Bond onscreen would appear together onstage at this year’s Oscars to celebrate the 50th anniversary of the franchise. The Academy was unable to get all of the actors onboard so they opted against the presentation. The tribute to Bond was still good and Bassie was electric but the show should have brought all of the available Bonds onstage instead of scraping the whole idea and leaving viewers wondering about it. 1.) Length of the Show: Over three and a half hours to hand out awards for the best movies of the year? With a pace that dragged and dragged, the awards show felt like it could last forever. There’s an award at the Oscars for best editing. Someone should hire one of those people to edit the Oscar ceremony before we have to go through this again.